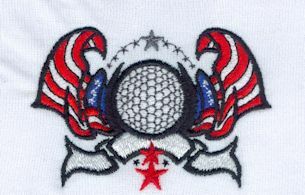 Embroidery Logo Digitizing, what is it? Set up fee, what is it? The term "Set up fee" is a generic term referring to a process by which your graphic is converted into an embroidery file. In other words, graphic to stitches. At OMD this fee is only charged ONE TIME. Once your graphic is converted to stitches, the process is done and ready when you call again for a reorder. Everything is done inhouse to be sure our customers are happy with the embroidered version of their logo before we send your order to production. 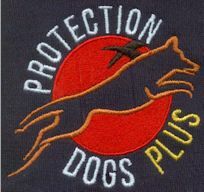 More specifically to embroidery, the set up process is technically known as "Logo digitizing." 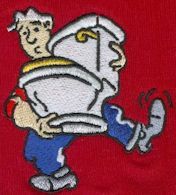 Logo digitizing is a process where through advanced embroidery computer software & a skillful trained eye, we take your graphic file and turn it into stitches. Your graphic is used as a pattern and stitches are laid over the image to create your embroidered design. At OMD, it is important that the stitches be placed carefully, creatively and correctly to produce a clean, professional and eye catching logo. It is all done by hand, and not auto-generated. We spare no amount of time or number of stitches to achieve the best translation of your graphic possible. To achieve the best outcome, we suggest that your graphic be a minimum of 300dpi. We like to have a file that is at least twice as large as the desired size for embroidery. When digitizing for knits, the minimum size of small text is 1/4 of an inch. The examples below show the translation from graphic to embroidery. 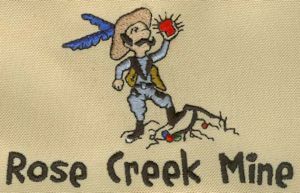 At times, artwork must be modified to achieve a high quality, readable embroidered design.